With the Galaxy S10 and S10+ right around the corner, it's definitely nice to see Samsung still caring about the Galaxy S8 and S8+ and looking after owners of the two early 2017-released flagship phones even as the company badly needs to boost the sales numbers of its newer high-end devices. Hot on the heels of the Galaxy Note 8, which in turn quickly followed the Galaxy S9, S9+, and Galaxy Note 9, the Galaxy S8 duo is reportedly receiving a stable Android 9.0 Pie update in Europe as we speak. This is not altogether surprising, of course, as Samsung extended its One UI public beta testing program to the GS8 and S8 Plus a little over a month ago. But the company initially expected to be able to bring Pie-flavored goodies to the two handsets in March, revising its schedule with a promise of earlier over-the-air delivery shortly after the first beta build was released. 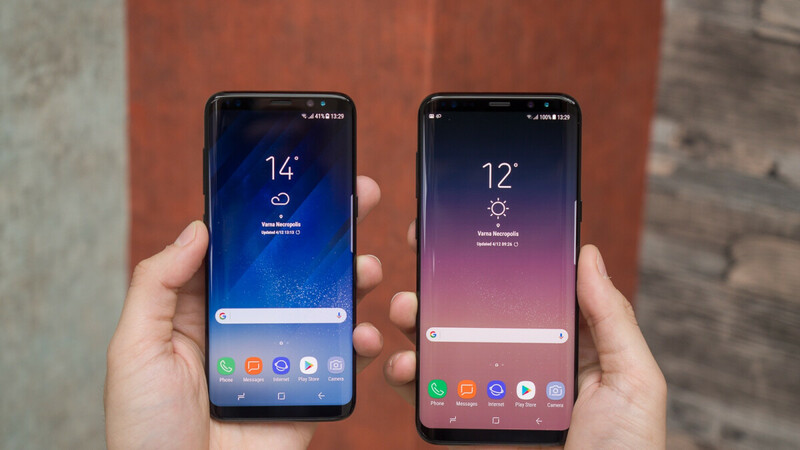 Clearly, final tests went off without a hitch, although certain regions are still likely to have to wait until next month for official Android 9.0 rollouts on the Galaxy S8 and S8+. That obviously includes the US, both as far as unlocked and carrier-specific variants are concerned. After all, the US unlocked Galaxy S9 barely joined the party this week, while the Galaxy Note 8 is yet to be updated on a single local network. So far, we've only been able to corroborate Android Pie release reports for the Galaxy S8 and S8 Plus in Germany with the help of Reddit comments and screenshots, but if history is any indication, a quick spread to more countries across Europe and Asia is probably in the cards. The stable OS makeover is already rolling out for everyday users (as in, not just beta testers), weighing in at a whopping 1.6GB or so. Apart from Google-specific Android 9.0 features, add-ons, and UI tweaks like Adaptive Battery, Adaptive Brightness, and gesture-based navigation, you have loads of Samsung-proprietary One UI changes to look forward to, largely focusing on simplifying the user experience and improving one-handed interaction. Don't forget to perform frequent manual checks for new updates on your Galaxy S8 or S8+ if you want to download and install this massive goodie pack as soon as possible by accessing your Settings menu, then "Software update", and finally hit "Download updates manually." If there's nothing there, just give it a few more hours and repeat the process. Wow such load of crap S9+ STILL NOTHING F U SAMSUNG . You at least could have warned us. The S9 has had official pie for nearly two months now.. I still cannot believe I haven't received android pie on my dual sim Galaxy note 9. This is beyond stupid. I won't buy another Samsung again.